CAPE TOWN, South Africa (AP) — The Crusaders are the only unbeaten team left in Super Rugby after the Stormers' run came to an end on Saturday, beaten convincingly at home by the Lions in their South African derby. While the Lions, last season's losing finalist, impressed to outscore the Stormers four tries to one in Cape Town and win 29-16, defending champions the Hurricanes also recorded an important victory when they rallied late to beat the Blues in Auckland. And with three teams set to be dropped from Super Rugby next season — one from Australia and two from South Africa — one of the possible candidates for the cut made a compelling argument that it should stay when the Melbourne Rebels beat Australian conference leaders ACT Brumbies. The two South African teams seen as likely to lose their Super Rugby status tried hard but ultimately failed to make the kind of statement the Rebels did. The Southern Kings scored five tries but still went down 47-34 to Queensland Reds. The Cheetahs stunningly led the two-time champion Chiefs 24-0 after 20 minutes but were destroyed in the second half to lose 41-27. 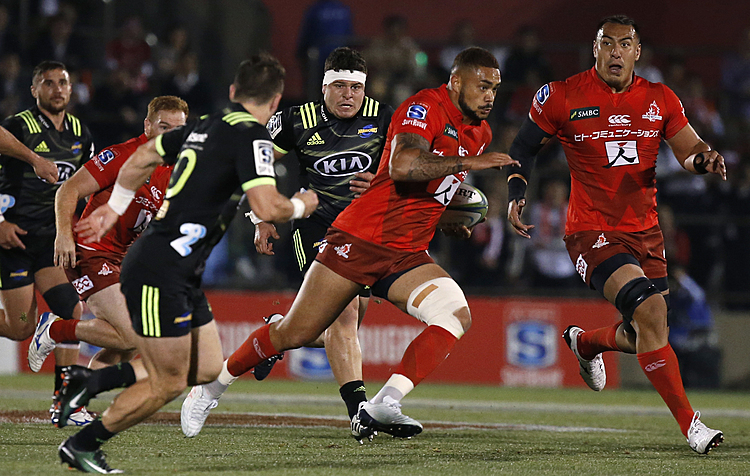 The Crusaders of New Zealand, record seven-time Super Rugby winners, improved their record to 7-0 with a 50-3 trouncing of the Sunwolves on Friday, strengthening their case for an eighth title and first since 2008. The Christchurch-based Crusaders lead the overall standings by three points from the Johannesburg-based Lions. The Stormers and Canberra-based Brumbies occupy third and fourth respectively. The Lions were the last team to be removed from Super Rugby when they were relegated for the 2013 season to make way for the Kings. Those dark days are now distant memories for the Lions, which made the final last season and are South Africa's top team for now after beating the Stormers at Newlands. Malcolm Marx, Harold Vorster, Jaco Kriel and Sylvian Mahuza scored the tries for the Lions, whose victory was built on an uncompromising performance from its front five. Wing Dillyn Leyds collected the Stormers' sole try with a slick chip and chase down the left touchline, but having ended the Chiefs' unbeaten start last weekend, the Stormers were off the pace this time to lose their first game of 2017. Earlier Saturday in New Zealand, second-rower Mark Abbott scored the first and last tries, including the match-winner in the 73rd minute, as the Wellington-based Hurricanes beat the Blues 28-24. Abbott crossed for the first try of the match in the third minute, giving the Hurricanes a lead they held for more than an hour until Scott Scrafton went over in the 65th to put the Blues ahead at 24-21. 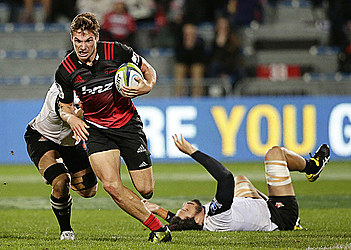 The Hurricanes, inspired by All Blacks flyhalf Beauden Barrett, showed great resilience to win back the lead with Abbott's second try and to defend their narrow advantage until fulltime. "We knew it was going to be an 80-minute performance for us," Hurricanes captain T.J. Perenara said. "They really took us to the end but I'm proud of the boys and the way they fought." The Blues gave a debut to flyhalf Bryn Gatland, the son of British and Irish Lions coach Wayne Gatland, but remain at the bottom of the New Zealand conference after their fifth loss from eight matches. Mentioned as a possible candidate for the drop, the Rebels came out firing against the Brumbies, albeit through the boot of Reece Hodge. He kicked four penalties and a conversion to secure the Rebels' first win of the season despite the Brumbies scoring four tries to one. The other Australian team linked with being cut is the Western Force, which had a bye. Former Wallabies flanker George Smith scored a try to mark his 150th Super Rugby match as Queensland Reds ended a six-match losing streak in their try-filled 47-34 win over South Africa's Kings. Smith's score was one of seven tries for the Reds, with wingers Eto Nabuli and Izaia Perese and fullback Karmichael Hunt all getting two each. South African rugby bosses began meetings this week to decide which two of their teams won't be in Super Rugby next year. Possibly playing for their future, the Cheetahs began frantically against the Chiefs and had tries to Raymond Rhule, Torsten van Jaarsveld and Francois Venter, and a 24-0 lead, after 20 minutes. The Chiefs replied with the first of two tries by Toni Pulu in the 27th minute, starting a run where the Chiefs scored 41 points to just three from the Cheetahs.